Your schedule is busy. You are always looking for new ways to simplify your life without compromising the final results to make your day easier. Your dental care should not be any different. Now, your dentist near Allentown uses a revolutionary technology to enhance the services you receive. With CEREC (Ceramic Reconstruction) you can get the high-quality restorations that you need in just one day. This provides the perfect solution to accommodate your hectic schedule. CEREC simplifies the restoration process from start to finish, providing a better approach when compared to traditional methods. After your tooth has been prepared, 3D scans are taken, not messy, foul-tasting impressions. The highly detailed images are pain-free and provide no discomfort while removing any room for error when creating your custom-made crown. Instead of sending the images to an off-site dental lab to make your crown, the information is sent to CAD/CAM software. Using this advanced technology, the specifics of your restoration are created, including the size, shape, and color. The details are then sent to an in-office milling machine. 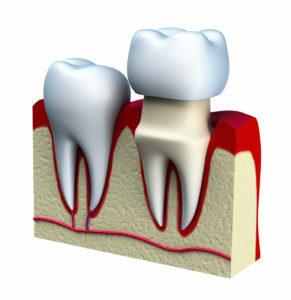 Using the specifics for your restoration, it is cut from a single block of all-ceramic material. They are completely metal-free for a holistic treatment. Your crown will be made to match your exact requirements with the entire process only taking about an hour. There is no need for a temporary cap or a second appointment. You will walk out of the office with the high-quality restoration that you need in just one day. It is only natural to question the strength and durability of the crown since it only takes one day to complete. However, rest assured, it will be of the highest quality. You will benefit from a precise fit while it also looks like a natural tooth. When compared to traditional crowns, they offer the same strength and longevity with the proper aftercare, like maintaining your dental hygiene. No matter if you need a dental crown, inlay, onlay, or bridge, CEREC technology offers the perfect solution to accommodate your busy schedule. Now, you will get the restoration that you need in just one day while benefiting from uncompromised results. Dr. S. John Salivonchik is a graduate of Temple Dental School and holds many professional memberships to several dental organizations, including the American Dental Association, American Academy of Cosmetic Dentistry, and American Academy of Implant Dentistry. Due to his exceptional qualifications and reputation as a skilled dentist, he has appeared on various news programs, including CBS 2 New York. He embraces the latest innovations and advancements to provide superior dental care. If you have any questions about CEREC technology or a restorative procedure, contact our office today to schedule a consultation.